It’s a lot of Pokemon fans’ dream come true: to be able to catch Pokemon in the real world. If you’ve been an ardent fan of the franchise for years since its inception in 1996, you’re probably one of the many who can’t hide their excitement when Pokemon Go was announced. Augmented reality is arguably still in its infancy, but any Pokemon game (which undoubtedly has one of the largest fanbases worldwide) is bound to be played voraciously by fans (new and long-time alike), especially if it’s going to be presented in such a totally revolutionary way. For the massive popularity that it has enjoyed, though, Pokemon Go’s actual gameplay is very simple. You start by choosing and editing your Trainer avatar and once done, you are then given a digital representation of your immediate surroundings through GPS, which is the primary aspect of today’s mobile augmented reality. It also tracks your movement, and your will also start encountering nearby Pokemon using the Sightings window as a good reference. In the beginning, as in every Pokemon game in the franchise, you are allowed to catch three of the original Generation one starters. However, you might be disappointed by the fact that, from thenceforth, your chosen starter won’t really make much of an impact in the general gameplay. This is because, unlike the original games, you’re not required to weaken the Pokemon any more to catch it. On the contrary, you need only to throw a Pokeball properly at it to heighten the chance of catching it. For instance, if you land an Excellent throw by timing throwing your Pokeball inside the receding circle when it’s at its smallest possible to accommodate the ball, the Pokemon is almost always guaranteed to be caught. However, you still have to pay attention to the color of the circle, as they denote the difficulty of catching it. You probably think that important information, such as the one explained above, should be made readily known to almost any user, but this is certainly not the case in-game. And most players could still not learn this even if they’ve already invested weeks’ or months’ worth of hours in Pokemon Go. This fact is also made pronounced when, for instance, the player is battling in Gyms. The game doesn’t make it readily known to the player that he can instruct his Pokemon to dodge the opposing Pokemon’s attack by swiping left or right. There’s also no direct guide that your Pokemon can perform special moves once their Special Bar is maximized. Nevertheless, the obvious lack of instructions of even the most basic aspects of the game is often reasoned by some people as telling of the desire of Niantic to highlight the social aspect of the app. Nonetheless, this did cause some people to interpret it as laziness or ineptitude on the part of the developers. One can’t deny the fact, though, that discovering the mechanics of the game without them being spoonfed to you is not without its appeal. As of this writing, the gameplay is arguably still infantile. You capture as much Pokemon as you can, level up your trainer and Pokemon in the process, and choose to battle and become Gym leaders any time you want. 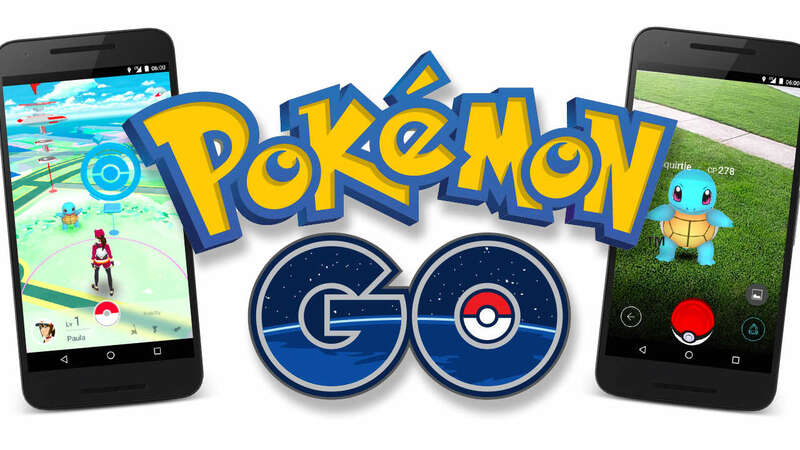 Most players just leave their phone in Battery Saving mode and wait for the notification that a Pokemon has appeared as they walk. A lot also camp in Pokestops that have been activated with Lure Modules, and stay there for hours to capture Pokemon. Indeed, it’s the very act of catching limitless numbers of Pokemon in an augmented reality setting and hoping to get your favorite one that serve as the most compelling factors behind the addictive aspects of the game. It capitalizes on repetitive actions that are balanced out by the promise of long-term rewards in defending Gyms, unique social interactions, and powering up the Pokemon you like to its fullest potential. Even so, this also doesn’t completely erase the fact that the said monotonous characteristic which could make the game become boring pretty fast for a lot of players. This is why there’s already a lot of clamor among players for Niantic to start introducing features that are closer to the original games, such as live battles and trading, to name a few. Considering that the game is still in its infancy stages, players definitely still have a lot to look forward to, in terms of where the game would be heading development-wise.